Over the past year, I have been focusing more on losing weight. While I have been excerising more and trying to make healthier food choices, I still have some issues with portion sizes. For this reason, I have been focusing more on trying to find a quality kitchen scale. One of the issues I have been having lately is that it is really hard to find a quality scale that doesn't require a smartphone to use all its features. Maybe I'm crazy but I really don't want to have to deal with my iPhone in the kitchen. It seems a bit silly to me. As I was on my search for a quality kitchen scale, I was approached by EatSmart to review one of their latest kitchen scales – the EatSmart Precision Elite Digital Kitchen Scale! Looking for an easy to use, very accurate kitchen scale? With many people trying to lose weight, a kitchen scale is one of the best ways to monitor calories and make sure you are getting in the proper amount of calories each day. With the EatSmart Precision Elite Digital Kitchen Scale, you have a extremely precise scale, measuring to the nearest .05 or 1 gram. With the easy to use TARE feature, backlit buttons, stainless steel design, compactness, and large weighing surface, you really can't go wrong with this EatSmart scale! Out of all the scales I have tried recently, this has to be one of the most user friendly out there. It is highly accurate, has large buttons, and allows you to move between various units (ounces, pounds, grams, and kilograms). For baking, this is especially important, since you want as much accuracy as possible. As well, the scale itself can hold up to 15 pounds, allowing you to do even larger projects on this scale. What I also love is that the scale itself is very easy to tare. Many scales make you do tricks, but all you have to do is touch the one button for a few seconds with an empty bowl to tare, and you are good to go! With its great look, ease to use features, and the useful calorie counting booklet, I can highly recommend the EatSmart Precision Elite Digital Kitchen Scale. Based on my own experience with this scale, I am happy to give it an A rating. Would you love to purchase one of these wonderful scales? They can be purchased currently on the EatSmart website or on Amazon.com for $36.95 (regular price $59.95). With this scale's large buttons and accuracy, you will find that measuring proper serving sizes and ingredients is easy enough for everyone! Thanks for reviewing this! It sounds like a great scale for in the kitchen, and something I just might look into. This is awesome. It what i was looking for my kitchrn. thank you! I have been wanting a kitchen scale for a while now and just haven't gotten one. I am suppose to watch what I eat and eat healthy and I think portion control is one of the key elements in doing that. Love the idea of this product! 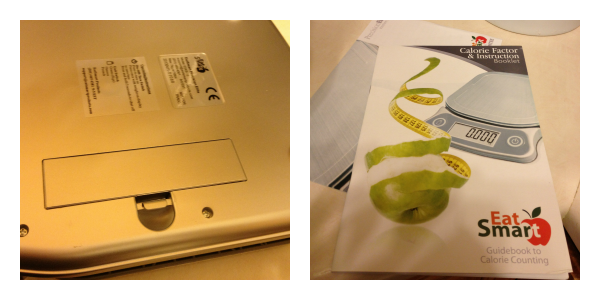 I have been meaning to buy a kitchen scale like this for my household… and this one seesm to be better than most! Thanks so much and ood luck toall!!! THank you for the detailed review. 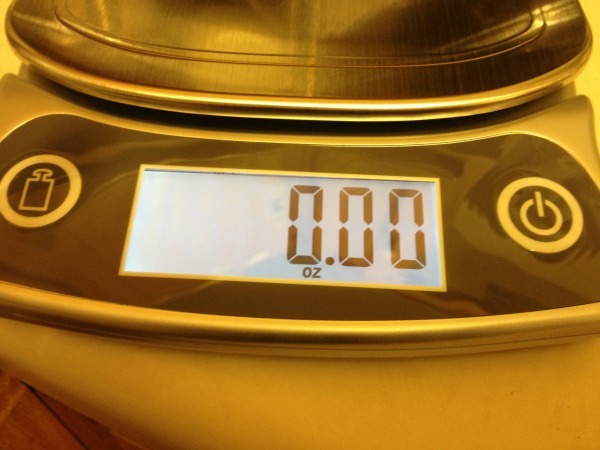 I love that this scale can hold up to 15 pounds and can easily switch from grams to ounces. The large butoons and displays make it wasier on my eyes too. I would love to have this scale. I am going on a weight loss mission next year, and I have a real issue with oversize portions! I love this Eat Smart Kitchen scale because it can hold a weight of up to 15 pounds. I need this to help me stay on portion size with my diet. I've always wanted a kitchen scale and this one looks great. I love the lighted display and large buttons. Being able to operate this scale without a degree in electronics is a dream come true for those of us who are technology challenged. Thank you for the informative review!! I love that tare is so easy…it can be such a pain to set! Being so accurate is so important when using to measure for weight loss! i want to own one because some recipes call of ounces and i never have anything to weigh it. also, i calorie count to lose weight and it would help for me to weigh my food when it calls for a certain amount. Hi, I would like to have these scales, because I cannot judge portion sizes. I mean a portion the size of one's fist? I have small hands, I think I get ripped off LOL. I need to measure my meat! Thanks. Vicki. I have never had a kitchen scale, it would be nice to have one. Awesome! I've been on a medically supervised diet for a few months now in preparation for an upcoming surgery, would love to try this scale out! Thanks for what you do! This sounds like it's the one I need since I'm dabettid I must weigh everything Portson size is everythigns, Thanks for sharing this review. Sounds like this is a good product. I think this would be a great help in my weightloss journey! These are really great when you're trying to monitor portion size and can also be a great tool for teaching the kiddos. This also looks like a higher quality product. I am watching my weight and I need to watch p ortion sizes. This would be great to help me figure out how mu ch I am eating. This would be so wonderful to have for dieting, taking all the guess work out of portion control woul be great! Thank you for the review!! Thank you for your review. I especially appreciate the information about the tare feature of the Eat Smart scale. 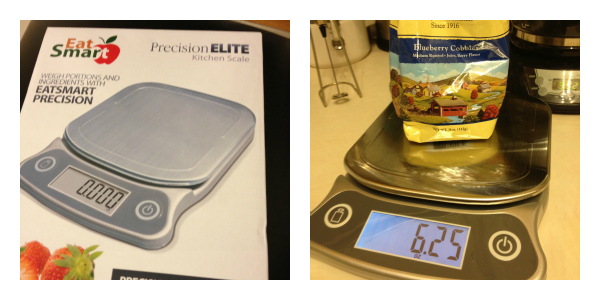 I have read many reviews on the Eat Smart and other scales and I like the ease of use this scale has to offer. That looks very useful. I prefer to use a scale for baking. Thanks for the review. I've been in the market for a kitchen scale, and this one is at the top of my list. The tare feature, in particular, would be very useful for me. This scale is exactly what I need. Trying to lose weight for health reasons and eating the right potions is always hard but this would make it so much easier. Thanks for the review. I would so get use out of this skale with cooking, baking and canning, what batteries it uses, did i miss that? I have been wanting to get a kitchen scale for a while. I havent had any luck finding real reviews on them. Most of them seem like they are the manufacture just talking all technical. I like it broke down and put on lame terms so that it's easy to uderstand. Thank you for your review. This sounds like what I've been looking for simple and easy to use. But I want accurate too. Would use this for so many things! Portion control! I don't think I consume enough food in one day to actually weigh it. I could really use one of those kitchen scales because I LOVE baking. There are SO MANY bread recipes that measure things by weight instead of cups, tablespoons, etc. I've been wanting a kitchen scale for weeks! I could so use these to help me with the new resolution I have set for the 14th! Thanks so much for sharing this info with everyone. I think it's awesome that as a blog author you receive products to review. Thanks for an easy to understand review. I think my favorite part of the EatSmart scale is how big of an area you have to weigh! I just started cooking and this is something I will need to save up for to make perfect recipes for parties! this kitchen scale looks like like the right gift for my grandmother. Her eye sight is horrid and she loves to cook so perfect! I've read so many great reviews for this particular scale. I really want to improve my health in 2014 so I just might have to try it out for myself this year! Great review!! I totally agree with not wanting to have to use my phone to use a kitchen scale! This would be so handy, not only for eating right but I often find myself needing a scale in the kitchen. Thank you for this detailed review. Most scales you buy, you have no way to know if you are getting a deal or dud. I really need an accurate scare to be serious about my control of portions. This is great that you have all these chances to get first hand information of alot of products. It must be nice to be able to test things out also. This is a very informative review. I need to get a scale to help with my weight loss goals. I find a scale very necessary when preparing a meal. This looks like a great product to do the job with. I found out I was Diabetic so I have to really watch my portions. This would really help me when preparing food. My husband is a …health nut. recently we decided that as a household we'd be smarter about how and what we eat. Someone had suggested a kitchen scale- and I thank you for your review. It would be great to have one of these. I know my husband would love this. This looks like a great scale. I also like how it looks. It would probably end up staying on my counter, so it is important that it looks nice. My dr is on my case to eat healthier and is watching my wgt closely. I am malnourished and losing too much wgt. He tells me to weigh my food and caloric intake as well. Its so hard to do without a good scale. I would love to own this. It is attractive and I would love it. Thank you for opporrtunity and for this review, it is very well written. I am currently working on a cookbook and trying to be as accurate as possible for the nutrtional values, etc. 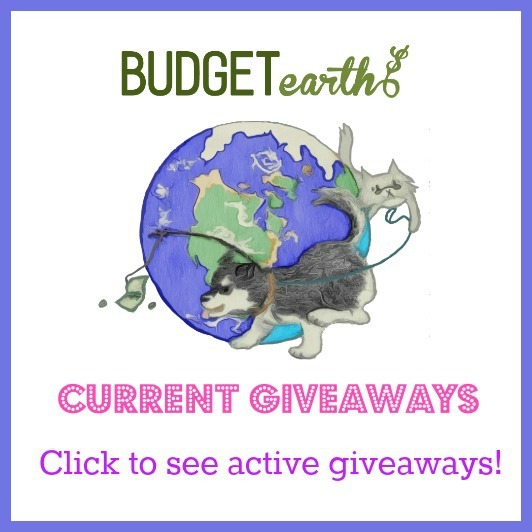 My daughter unfortunately just dropped my scale and broke it – this would be perfect timing! Thanks for the chance! This would be great to have. I work with scales sometimes at work. I'm glad to hear that you thought it was user friendly. Sometimes scales aren't. This makes me want to try a scale in the kitchen and see if it will help. My husband and I are deteremined to get healthier, but it is very hard. Thank you for this review. As a society I believe we over eat continuously. If we were to take the time and weigh our portions, or measure them, we would see the differences in the amounts we intake unintentially. The amount of extra calories we consume is unessesary for proper nutrition. Thank you again for this offer and review. For many years I cooked without a scale. About two years ago, I bought one, and now it is so important to me for cooking & baking. EatSmart sounds like a great one to have! Nice review. this would be an aewsome addition for my kitchen! I love the sleek modern look ! anyone on a prescribed diet would benifit from this! !